The original owner is downsizing after 23 years of enjoying this amazing waterfront location. Perfectly elevated to capture sweeping water views across Bonville Creek View and beyond to the Bongil Bongil National Park. This quality brick home has been designed with all the main living areas and three of the four bedrooms on one level making this a very comfortable home for you to live in. The garage has direct access into the home for easy unloading of the shopping. provide you with a tranquil environment. Open plan kitchen – meals – family opens to the most enjoyable sunroom where you can take in the winter sun whilst enjoying the views. The master bedroom is well proportioned and features a walk-in robe and ensuite. 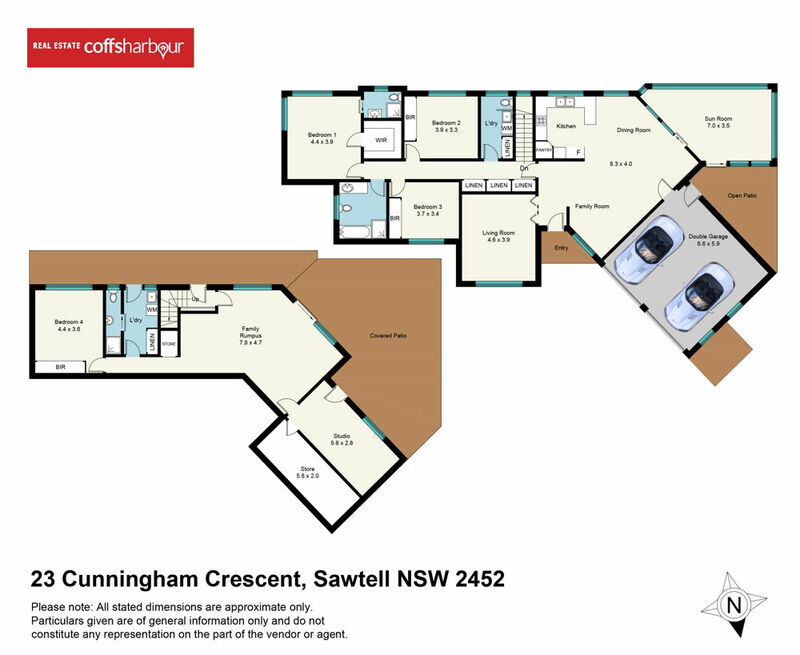 Property features include cul de sac location, set amongst quality homes, solar power, air conditioning to living room and short drive to Sawtell Village and beach. On the lower ground level, you have one large bedroom, a second laundry, a bathroom, a living room that doubles as an art studio and there is plumbing in one section that could be utilized for a kitchenette, making this level the perfect granny flat or a source of extra income. Direct water access to launch your canoe or boat from your back yard and explore the peaceful waters of the Bonville Creek estuary or pull ashore and just relax on Sawtell Beach. Airport is a 10-minute drive with direct flights to Sydney & Melbourne. Contact selling agents Barry France or Lana Burrows to organize an inspection.